Conceal and Carry (CCW) Classes Available at Sharpshooters! - What's New! 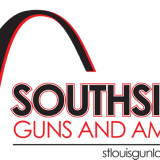 HomeBlogGun Shop NewsConceal and Carry (CCW) Classes Available at Sharpshooters!